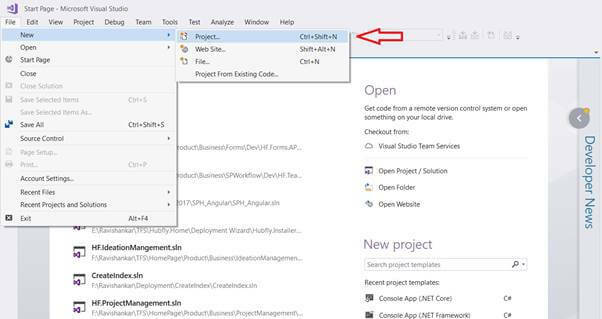 Open Visual Studio, go to File -> New -> and select Project. 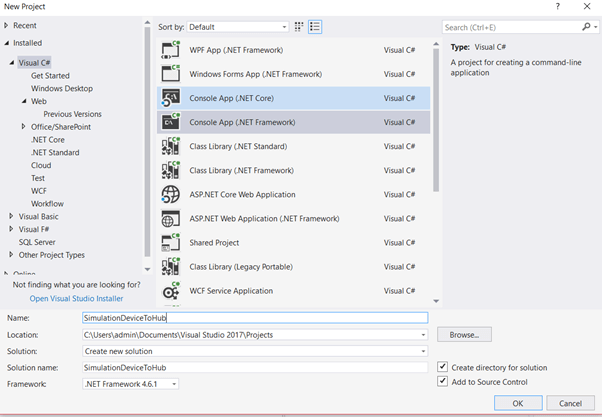 In Templates, select Visual C#, select Console App (.NET Framework) and give an appropriate name in the ‘Name’ textbox and then click the OK button. 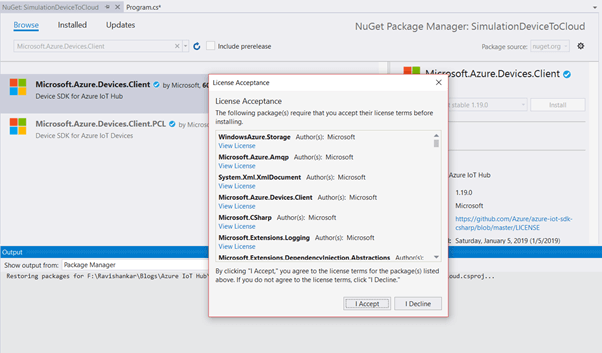 Go to Project -> Manage NuGet Packages. Now, click the I Accept button to accept the license agreement. 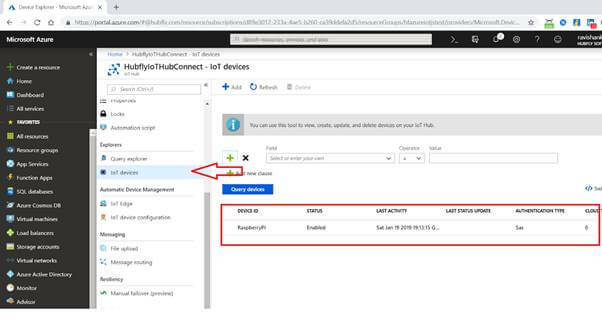 Open your Azure portal and choose your IoT Hub. Click IoT devices In Explorers. You can see the list of devices that are connected to the IoT Hub. Double click the device, you can see the device detailed information like device id, Primary Key, Secondary Key, Connection String(primary key) and Connection String (secondary key). Using Microsoft.Azure.Devices.Client library we can create device client. The device client has CreateFromConnectionString method which requires device connection string as parameter. Create a read only static string s_connectionString01 and assign the connection string that we copy from Azure Portal. Here you can create a random temperature and humidity values using Random() method. I hope you have learned how to send telemetry from an IoT device to an Azure IoT Hub using C#. Feel free to fill up the comment box below if you need any further assistance from us.